Intuos Pro Pen & Touch tablet connects easily to your PC or Mac through a single USB connection, and the included wireless kit helps you cut down on cord clutter. 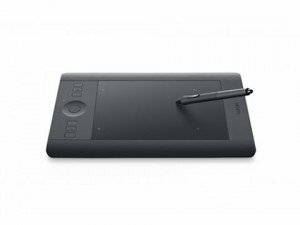 Intuos Pro is also designed ergonomically for both right and left hand use, so you’ll be comfortable using your pen tablet every day. Please refer to the specifications tab for more details.